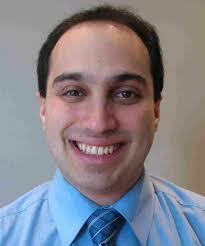 Thank you to Dr. Mark Karanofsky for his dedication to the Family Medicine Undergraduate Program! It is with much gratitude that we salute Dr. Mark Karanofsky for his leadership as Director of the Undergraduate Program for the McGill Department of Family Medicine, a position he has held for over two and a half years. He officially stepped down from this position on September 30, 2018. Since July 2018, he has been the interim Unit Director of the Herzl Family Practice Centre of the Jewish General Hospital. During his mandate, Dr. Karanofsky worked tirelessly to improve and support multiple initiatives and projects related to primary care for medical students. He made improvements to various Clerkship courses, the patient-tracking project for the Longitudinal Family Medicine Experience (LFME) program, and helped create and implement the online ePortfolio project, myMED McGill, for the MDCM program. In 2017, Dr. Karanofsky was named to the McGill University Faculty of Medicine Faculty Honour List and he received the Fellowship designation from the College of Family Physicians of Canada in 2015, both attesting to his outstanding work in undergraduate education. He steps down from this important portfolio and passes on the strong, popular and ever-growing Undergraduate Program to his successor – Dr. Goldie Marmor, former LFME Course Director. Please join us in congratulating and thanking Dr. Karanofsky for his tremendous work over the years!